When I heard we were visiting yet another garden, I was less than thrilled. It was so hot, I had a heat rash, and there are plenty of greenery and parks at home that I could appreciate without coming out of it dripping wet from sweat. Even at the best of times, I really don’t care about the nuances of the different types of plants and flowers. Plus there is the fact that I’m allergic to most plants and flowers so please keep them far away from me. No stopping to smell the roses for this traveler! But I’m glad I sucked it up and decided to give Lodi Gardens a chance because it’s so much more than just a garden. 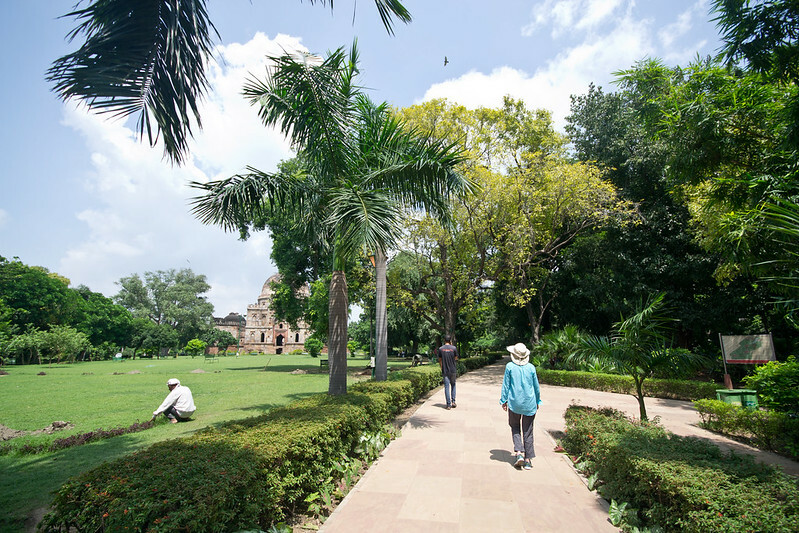 Stretching across 90 acres, the gardens are home to a variety of tombs and buildings that date back to the 15th century commissioned by the Lodis who ruled northern India and parts of present day Pakistan in the late 15th and early 16 centuries. 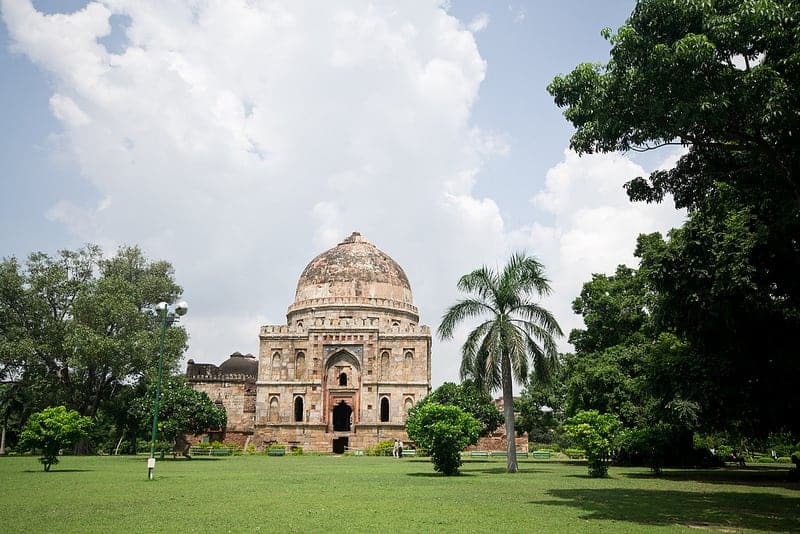 Within the garden walls, there are a number of prominent tombs for past rulers of India. Because of the heat of the day, we only visited two of the tombs in the gardens, but there are a couple other ones to see as well. The first one we stumbled upon is the Bada Gumbad Complex which includes the Bada Gumbad, a mosque and an arched pavilion called the Mehman Khana. 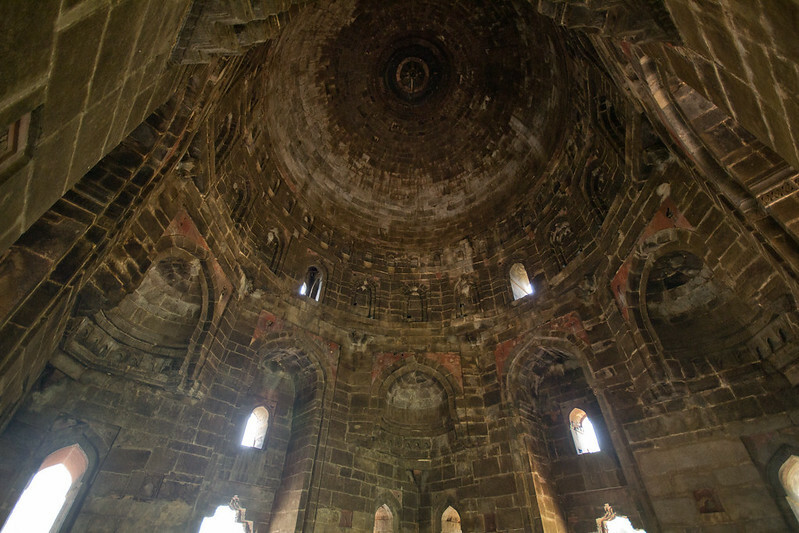 The Bada Gumbad, literally “the building with a big (bada) dome (gumbad)” is thought to be a gateway due to the lack of any graves. It was constructed during the Lodi dynasty. What’s unique about the building is the way it’s built. The base of the building is square, but as the building rises, it turns into a circle. Adjacent to the Bada Gumbad is a three-domed mosque which blends Islamic and Hindu architecture into an interesting mix. In many ways, it reminded me of the mosque sections of the cathedral in Cordoba. Despite the distance between India and Spain, it’s interesting to see how widespread the influence of Islamic culture. Opposite to the Bada Gumbad complex is the Sheesh Gumbad or the glass dome. It was named this because the building was once covered with coloured glazed tiles. You can still see some of them on the facade, but most of it has fallen off and what remains has faded. Despite that, the few tiles that are still there give you an idea of how magnificent the building must have been in its prime. This building is home to several unidentified grave that are speculated to be members of the Lodi family. Within the gardens itself, our guide showed us one of his favourite plants. By gently touching the plant, it would close up. If you tapped the base of the leaf, all of the leaflets would close. It was super cool. I had never seen a plant do anything like that and had too much fun running my fingers along its leaflets. They would remain closed for a couple minutes before opening again. Its official name is mimosa pudica, but it’s also known as the shameplant, which is a perfect description. 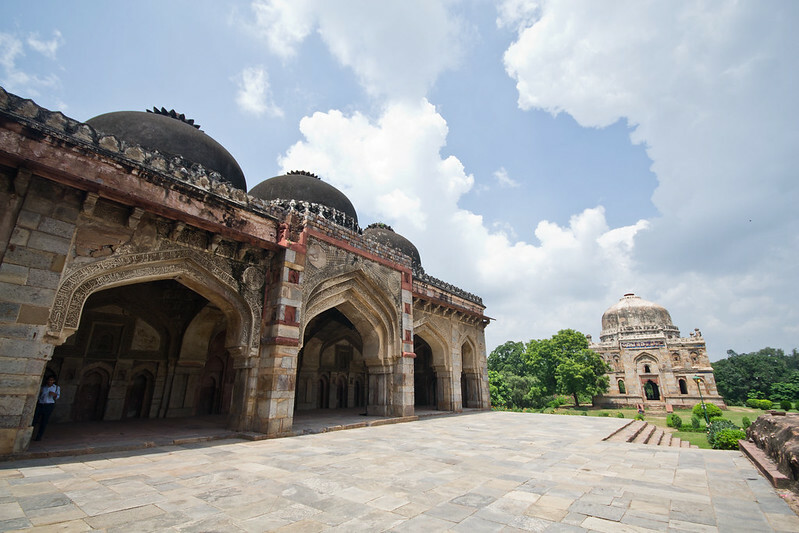 With little remaining from this time period, the tombs and buildings found within the Lodi Gardens are prime examples of architecture from this era. Each are incredibly impressive and well worth the walk through the garden. Entrance into the garden is free. As mentioned at the beginning of this post, visiting gardens and parks aren’t super high on my list of things to do when traveling, but the interesting architecture and history of Lodi Gardens was a pleasant surprise and made the visit all that more rewarding. Do you like walking through gardens in your travels? I love visiting gardens! This totally doesn’t look what I would have expected, either, but it’s so special and I’d love to see it in person. The history and architecture are amazing. Seeing all the buildings and tombs were definitely a nice surprise! Great to be able to combine cultural relics in such a natural, peaceful atmosphere ! I enjoy visiting gardens while traveling and my favorite is Luxembourg Garden in Paris. 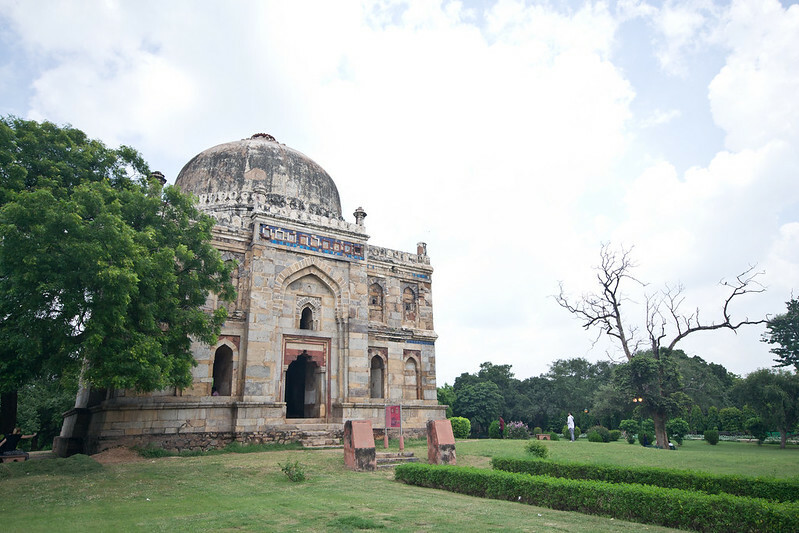 The unique dome like architecture and history is quite interesting at Lodi Gardens. Really enjoyed reading about your experience. Fascinating video about the shameplant. Is it unique to the gardens? Ohh the Luxembourg Gardens are a good one to walk through! 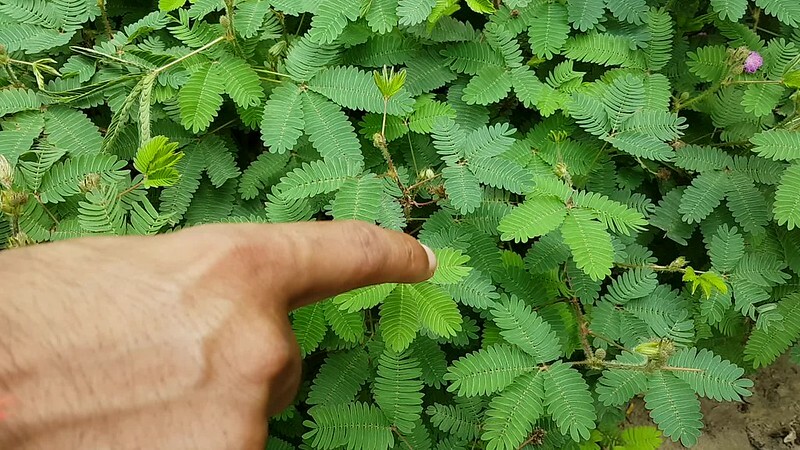 I don’t think the shameplant is unique to the garden – my guide said he played with them throughout his childhood and he wasn’t from Delhi. Maybe it’s found throughout Asia? I actually love walking around gardens, especially if there’s lots of shade! But if you have hayfever I can imagine its a nightmare, my brother gets it really badly so he hates them! Glad it was worth it in the end! Visiting gardens definitely isn’t my thing either, especially in the heat of the day! 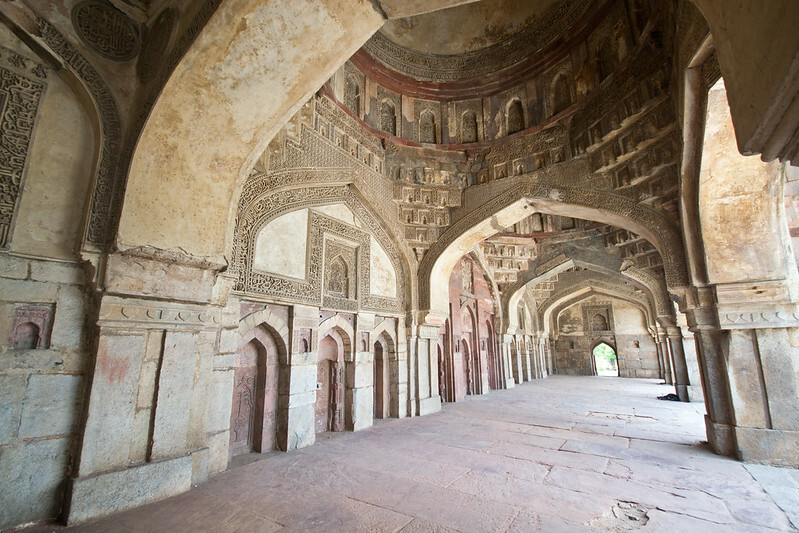 But these tombs look pretty cool – it’s amazing how much ancient history and architecture there is around India! And I love watching you play with the shameplant. How fun! it looks so peaceful – especially compared to the rest of Delhi! It really was! You couldn’t hear the city at all and really transported you somewhere else. I love visiting gardens! They’re so much fun to explore. 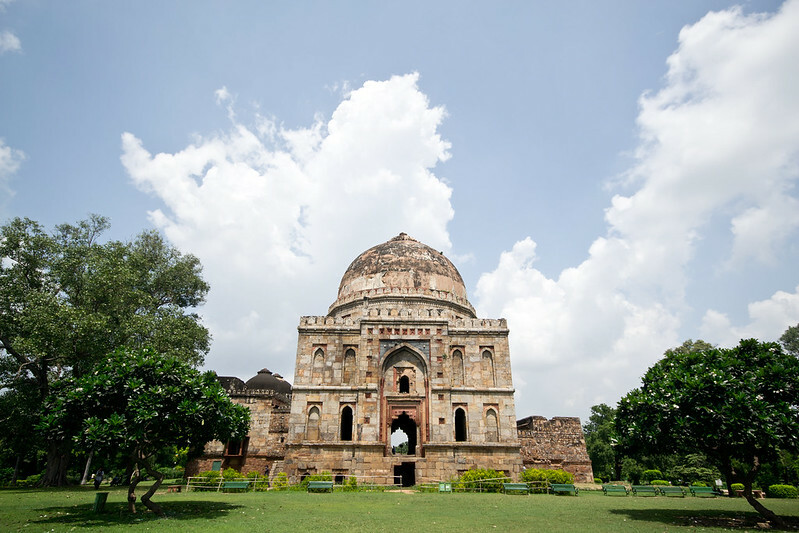 I definitely need to add the Lodi Gardens to my list, especially since the Bada Gumbad looks so historic and incredible! You were lucky! 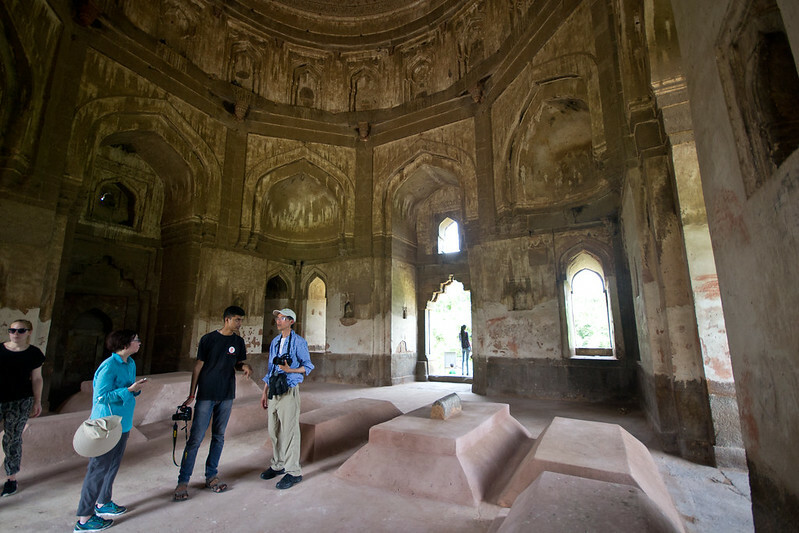 Imagine the beauty that you found…that tomb, if it really is, is a beautiful heritage of the Lodi Dynasty. Your experience reminds us of when we visited the gardens of the Huntington Library in San Marino, California. It was sooo hot and we walked through the Japanese garden, the “desert” garden full of cactus and then the exotic jungle, and just thought OMG… why this heat is killing us! But then we ended up loving it, because we really like walking through gardens whenever we travel to somewhere. And seeing your pictures we’d love to explore this one too when we visit India. The ceilings of the three domed mosque look stunning! Lodi Gardens was definitely worth suffering in the heat and it sounds like the ones at the Huntington Library were too. 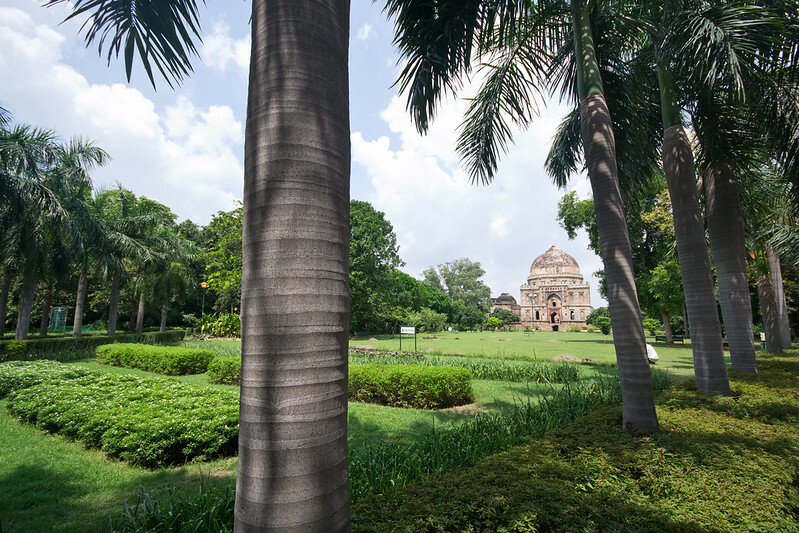 Lodi Gardens looks beautiful, and sounds like a really interesting place to visit – the buildings are quite incredible sitting there in a garden setting. Such intricate detail, and so well preserved for having been built centuries ago! 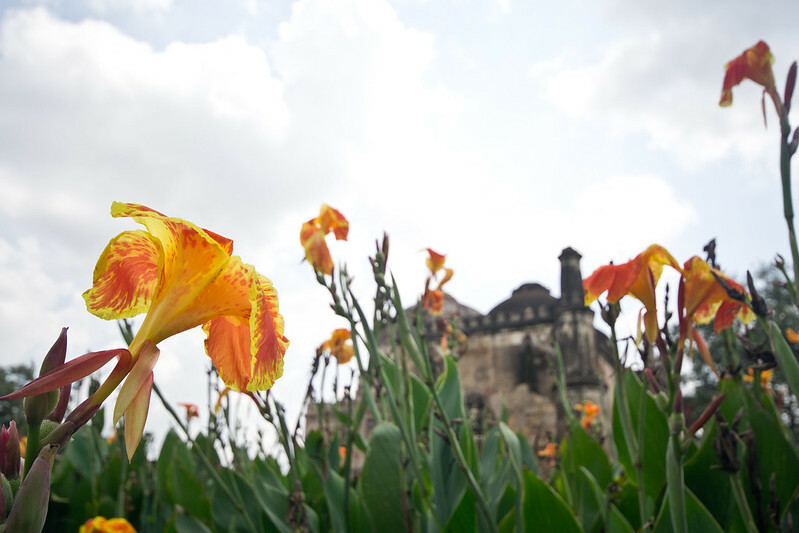 So glad that you gave it a go, despite not being interested beforehand – Glad Lodi Gardens was a pleasant surprise for you!